Want Free Access to Pamela Fairbrother Pics & Clips? 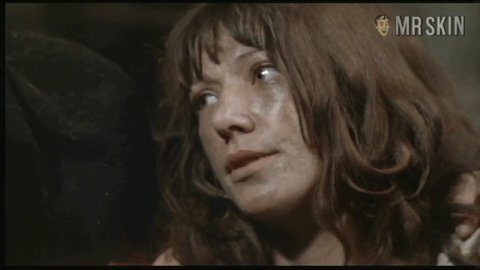 Pamela Fairbrother caught Mr. Skin’s eye with her very first skinematic appearance in the 1970 horror flick Cry of the Banshee, where she plays a dirty, bare-breasted witch interrogated by witch-hunter Vincent Price. That same year Pamela appeared in yet another witchcraft movie, the Roddy McDowall-directed Tam Lin, whose posters contained the suggestive tag line “She Drained Them of Their Manhood—and Then of Their Lives!” In 1974 Pamela took another stab at the horror genre with Frightmare, but we never saw her mam-elas again.